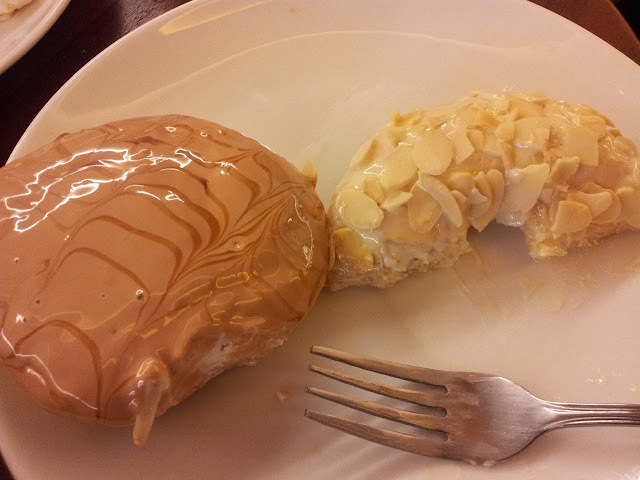 These J.CO Donuts Are Evil!!!! 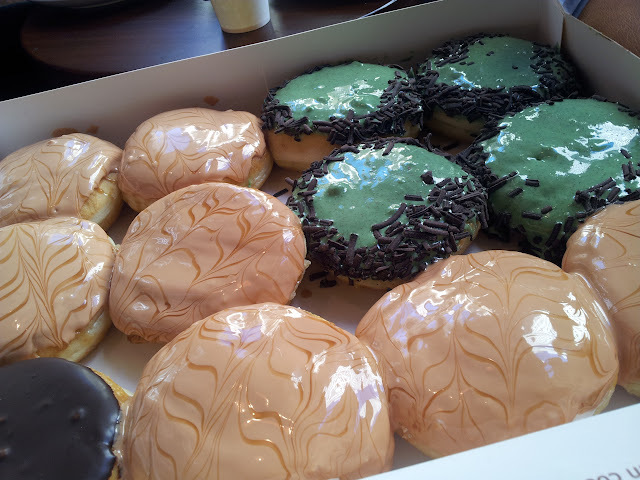 These J.Co donuts are evil!!!! They’re fattening and probably drug-infected that’s why they’re very very addicting! I like them very much! Sabi nga ng boss ko – this will be my donut for lifeee!!! Seriously!!!??? And that’s just 1/4, ok. The store opens at 7AM, we were there at around 7:15! Ever wonder why these donuts are very popular? First, they’re really yummy! The dough is very fluffy, the toppings and fillings are both delicious. 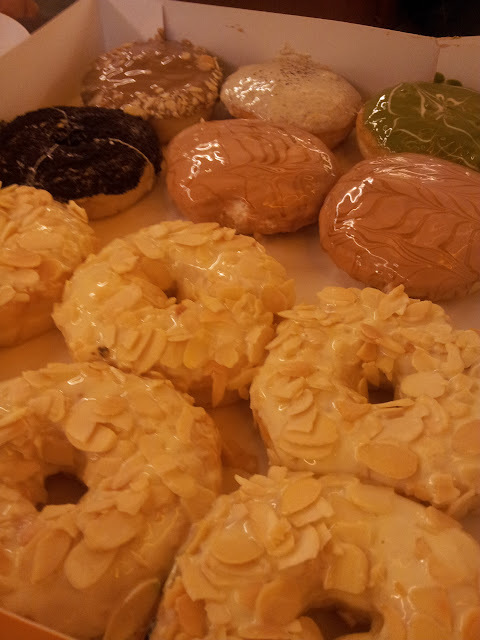 If you think Dunkin Donuts and Mister Donuts are heavenly, haha, wait ’til you get a taste J.Co Donuts, they are sooo beyond heaven!!! LOL ang OA lang reaction ko! My only problem (and perhaps the biggest problem they’re facing) with them is the very loooong queue! All branches are like that! It’s crazzzy! We waited for an hour this morning! They seriously need to practice 5S in their processes, hire more people, get bigger working space, use bigger trays and avoid unnecessary stuff like putting donuts in each tray every now and then. 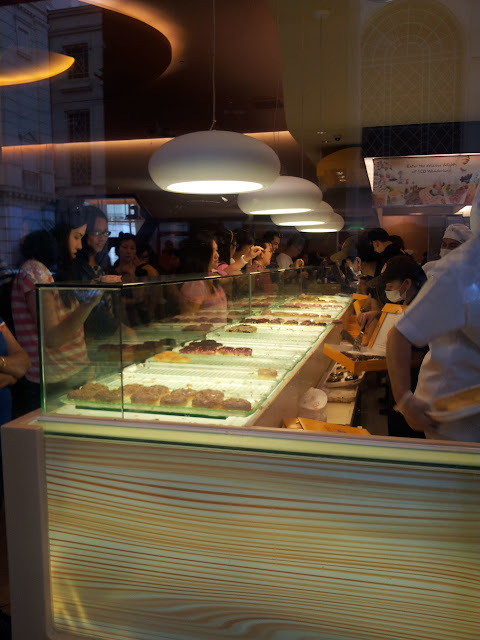 The shortage of manpower makes it hard for the customers to have variety of donuts to choose from. The tiny space is causing too much hassle for the crew! I can imagine how tiring it is to work for them. They make you buy 2 dozens even when all you need is just 2-3 pieces! Ah the power of brilliant marketing! That’s why ang haba-haba ng pila all the time, everyone is buying 2 dozens! 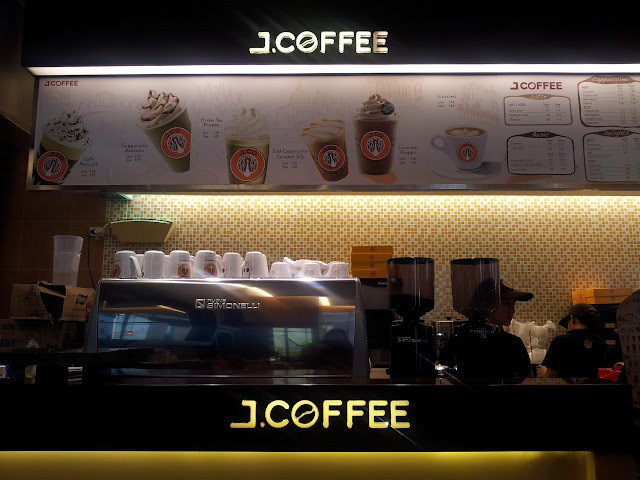 As much as I love their donuts, I must say I’m not a fan of their coffee though – Avocado Coffee something. yun palang naman ang natikman ko and I won’t buy it again. 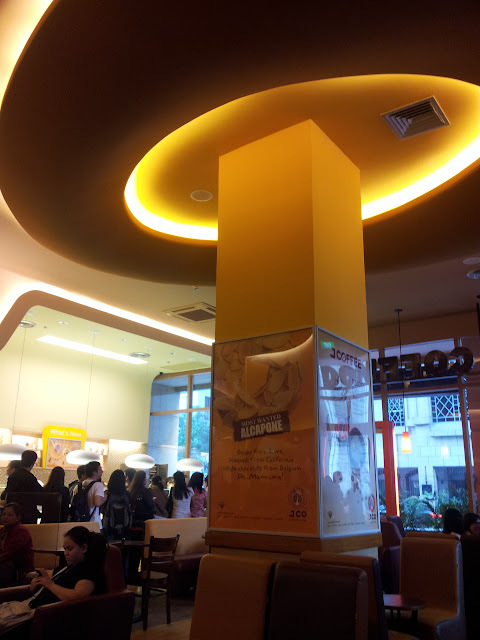 Also, J.CO is not the perfect place for mahaba-habang kwentuhan because the chairs aren’t very comfy – they’re too low. May wireless signal but you can’t connect haha. Maganda ang effect ng lighting sa picture. 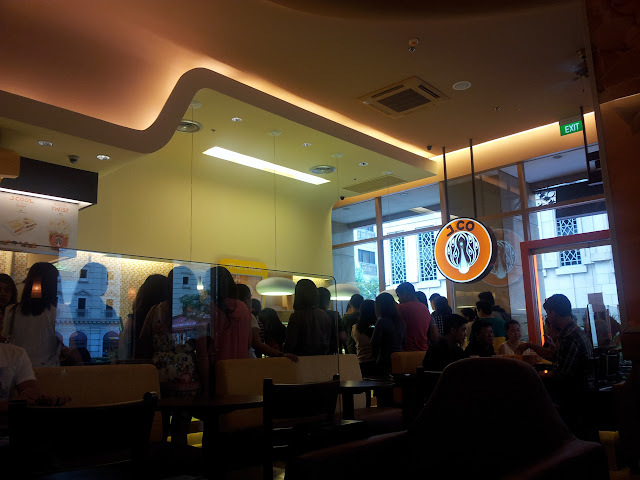 And bec crowded, minsan mainit sa loob ng store. But overall, ok naman. Buti na lang sobrang winner talaga nun donuts! I tell you, they’ll be you donuts for life too! Now I’m craving again. Arggh. They branches in SM Megamall, Greenbelt 3, Mall of Asia, Trinoma Mall and Eastwood City. Hi joan! I loveee al capone too. haven’t tried the cheese flavor, pero masarap nag daw. sinabi mo pa, stress ang pagpila! Regards to jeff and baby!